It happened early in the morning. found her bacon gone missing. "It disappeared while I was in a bathroom." crime scene, FBI began investigation. database. We have a suspect." FBI agent: "You kidnapped the bacon. to kidnapping, they asked CI for help. Goro and catch him when he barfs." We are gonna inspect that barf." FBI agent: "Oh...you just barfed cat grass. But then, who took the bacon?" "Put your paws up, Niko!" FBI agent: "Here is what happened." "Niko is the one who kidnapped bacon." "Then he conspired to frame Goro." FBI agent: "But he couldn't fool us. Mrs. Eggs, here is your bacon." 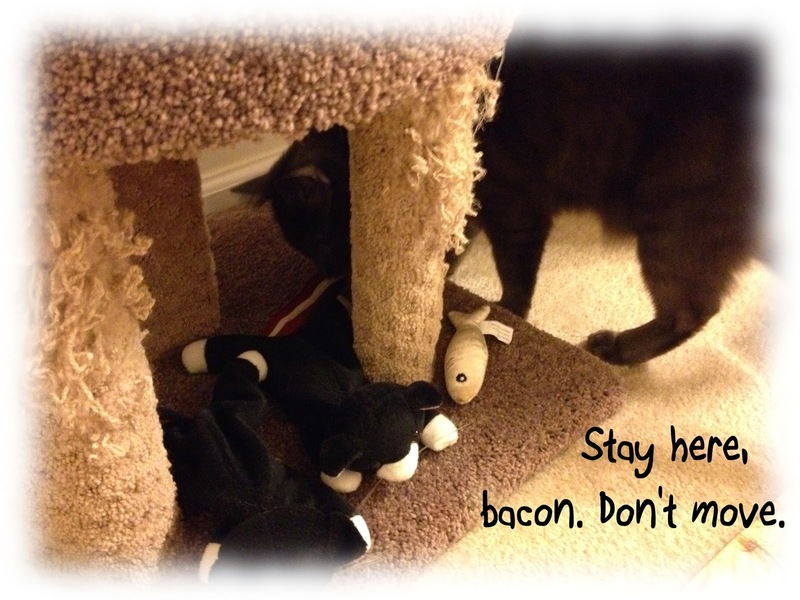 "This is not my bacon. It's a toy." FBI agent: "What? Then, where is the bacon??" Mr. Eggs: "Honey, I'm home." Mrs. Eggs: "Oh, darling, glad you are home." Mr. Eggs: "What's going on?" Mrs. Eggs: "My bacon went missing and..."
was gonna ask but you were in bathroom. FBI agent: "Um..we'll make up for your trouble. How about nice, non-salt turkey bacon for you?" 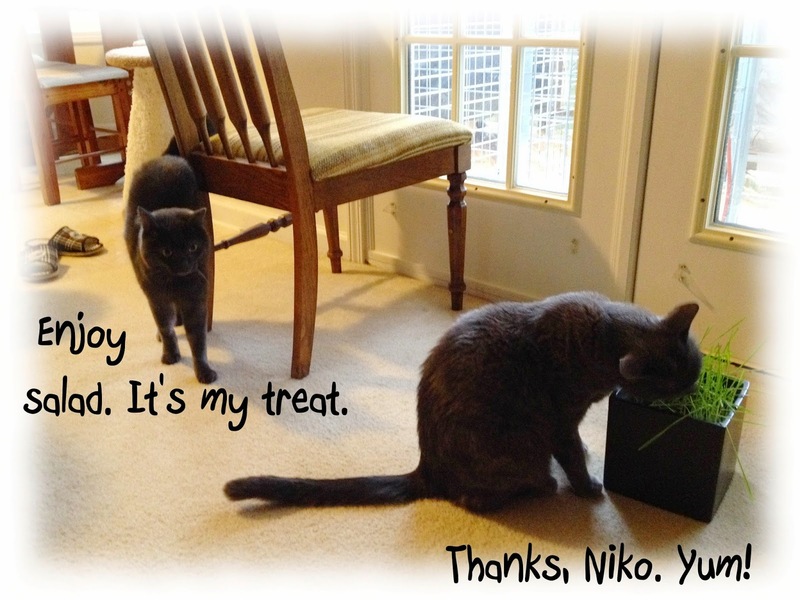 "Always suspect human before accusing feline"
Goro & Niko's raw food comes in a big container. So I portion it into small bags and freeze them. I do this food preparation on a weekly basis. Of course, I'm not alone when I do that. Yes, Goro. Do you want to try some? He performs the taste test. my weekly routine is complete!